It became quite fun because Elhan insisted on joining us every step of the way, wanting to touch everything and us saying no every time he wants to put something in his mouth or throw a disc on the floor and breaking things and biting one of the photos of me and one of my bestfriends Ruzana from over 10 years ago. After the spring cleaning was done, we went to visit my father who was admitted into the hospital last Monday for a cataract surgery. Finally managed to visit him. Didn't get to go before today because we have been at work till night time. He just had his eye surgery to fix his eyes and all praises to the Almighty that everything went well and smoothly. Elhan and Evren were so excited and happy to see their Tok, their grandfather and Ninda, their grandmother after not meeting them for 2 days since the admission. Of course, they meet them almost every single day. After Elhan was hospitalised end of last year, and after I came back from Dubai we have been staying at my parents' place instead of my own place since both Khubayb and I are working and it has been one of the busiest period of our careers. It may mean that its good for our own respective businesses that we are both very busy but at the same time we needed as much support from our family in terms of taking care of the kids while we are working. I am blessed to have an amazing support system as a working mother. My sons' loving and caring grandparents as well as their uncles and aunties. I don't know how I would have been able to juggle family, my sons with work if it wasn't for my parents. Alhamdulillah. Anyways, today I spent some quality time with the family. Going to the hospital which is almost 1 hour away feels like a road trip with the kids and I mean it in a good way. The kids brought so much joy and laughter at the hospital with Elhan being so excited with the bubbles. I brought the bubble blower to the hospital and Elhan's Mama Cho Lisa, helped blow em while I captured some photos of them. Evren couldn't care less haha. And then Elhan dancing to the GangNam Style song, he really has the groove! And then we watched a beautiful sunset view. The sun was so clear and it seems so big! Didn't expect it! 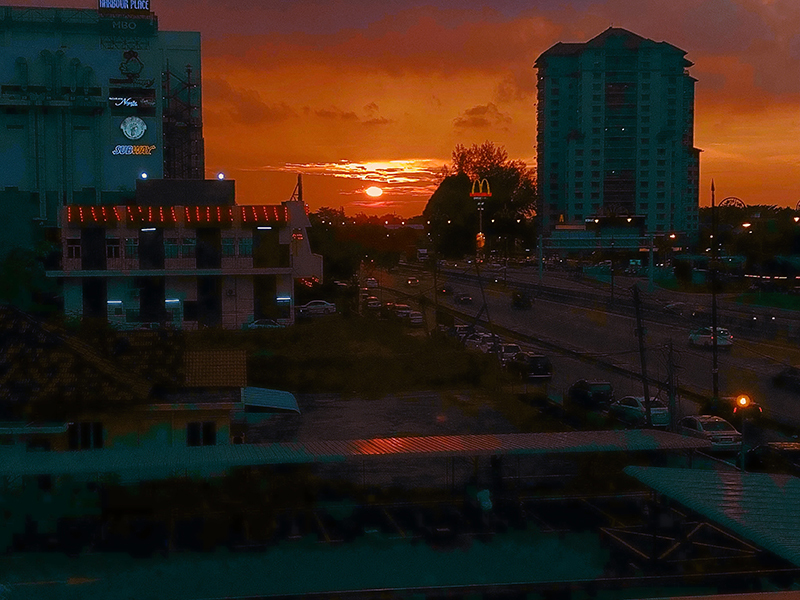 Sometimes I go as far as Australia or Phuket or Langkawi to witness gorgeous sunsets but we were just 1 hour away from home at the hospital and witnessed one of the most gorgeous sunset ever. It's a plus point that I enjoyed the beautiful view with my VVVVIPs, my husband, sons, parents and siblings. 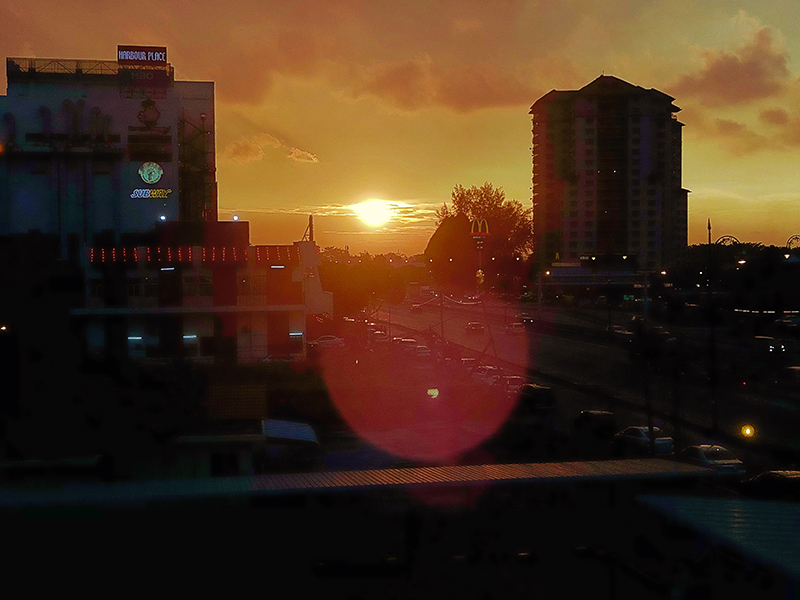 After that we had McD drivethru coz I saw the McD sign when I captured the sunset photos. Ordered the Golden Prosperity Burger and then I went to top up some of my makeup items that had finished. Also looked for a winter coat for my next trip travelling for work. That is happening next month, February 2018 insyaAllah. I am feeling grateful for the month that has passed and extremely blessed for the most important thing in my life right now, family. Hope you spent your public holiday doing the things that you love or spent it with your loved ones. I did both. Much love! Bubbles with Ninda, their grandmother and Mama Cho Lisa at the hospital earlier today. 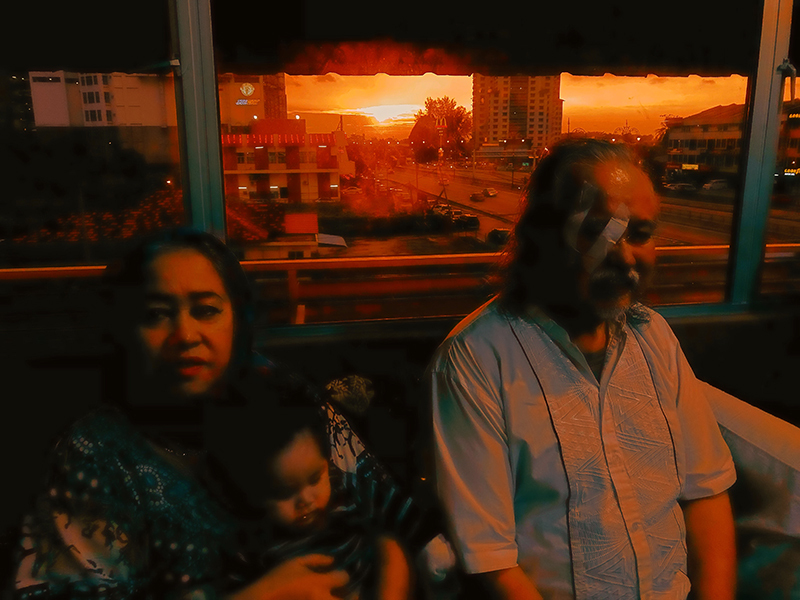 Sunset with the ones who matter most from my dad’s hospital room tonight. When my sister Lisa asked for a selfie facing the sunset at the hospital.